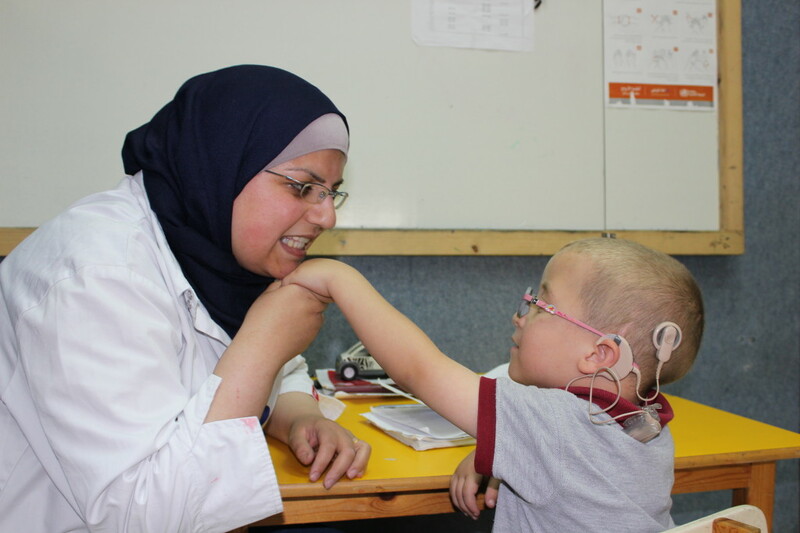 Princess Basma Inclusive School has around 416 children, 38.70% are children with disabilities. The school is a model for inclusive education from kindergarten up to 12th grade “High School” where children with disabilities study side by side with children without disabilities. The school has classrooms for children with learning difficulties, children with ADHD, children with autism and children with hearing disabilities. In parallel to their education, children with disabilities at the school receive comprehensive rehabilitation package and psycho-social support that is provided by the rehabilitation department. Every child with disability at the school has a personalized program for physiotherapy, occupational therapy and speech therapy based on the kind of disability and the need.